Recently I wrote a short piece about the emerging mobile banking systems in Kenya, Tanzania and Zanzibar. 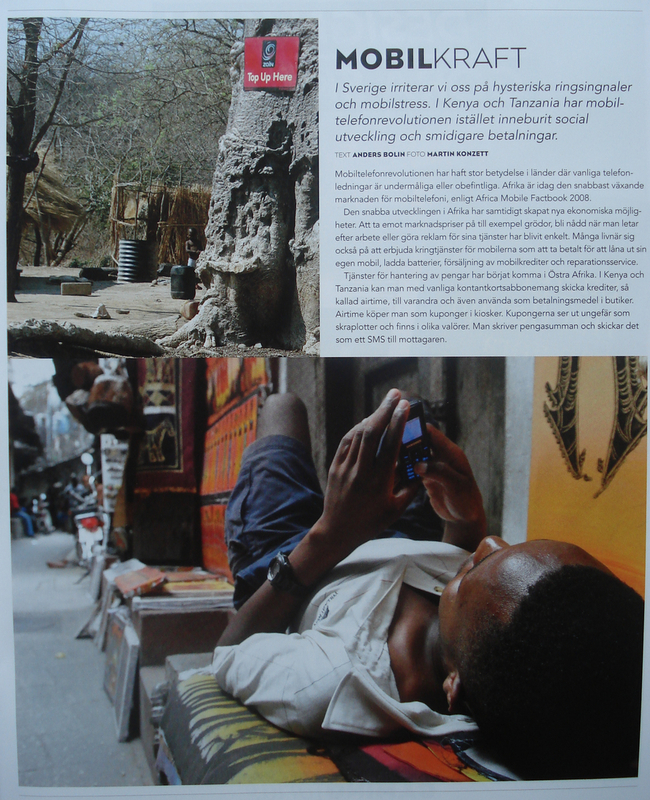 The article was published in the bi-monthly Swedish eco- and lifestyle mag Camino. 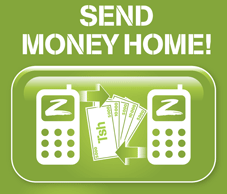 This issue’s theme was about “smarter money”, and I mention here the advantages of simple SMS-based services like the Z-Pesa, a credit-transfer service from Zantel, one of the main telecom operators in Tanzania/Zanzibar. You can send ‘hard cash’ if you get a Z-pesa account, but more common is to send SMS with ‘airtime’ (cellphone credits) to anybody with a cellphone (requires no fixed account). The text is also about how the fast growth of mobile technology are changing the economical infrastructure in these countries, the difference it has made for people and the myriad of small businesses which has been generated around mobile phones. Also worth noting is, the embarassing fact that these simple yet great services still are not available in Sweden or Europe (at least not to my knowledge). Check out the piece here (yes, in Swedish, but neat pictures to look at), or even better, get your own, shiny copy straight from Camino.